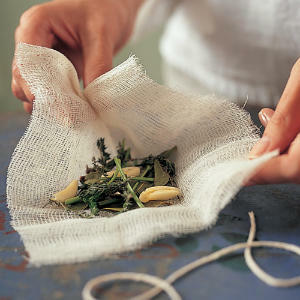 When making soups and sauces that call for sprigs of herbs (i.e., rosemary, thyme), dried herbs (i.e., oregano, crushed bay leaves), or whole spices (i.e., peppercorns, allspice berries), make a bouquet garni. 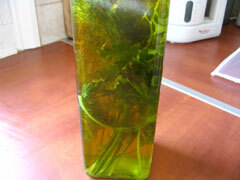 Wrap the herbs and/or spices in a small square of cheesecloth or tulle, tie off the top, and add to the pot. 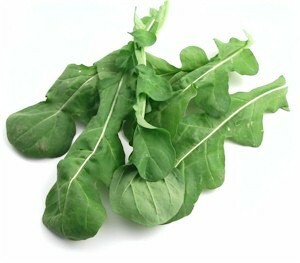 Alternatively, for sprigs only, tie them together at the stem. The soup will be infused with all the flavor and you won’t have to go digging around to find and remove them before serving… or worse, bite into one when eating!